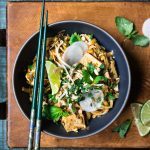 This vegan twist on pad thai is a satisfying, flavorful dinner for any time of year, but we especially love making a big batch on a cold winter night. 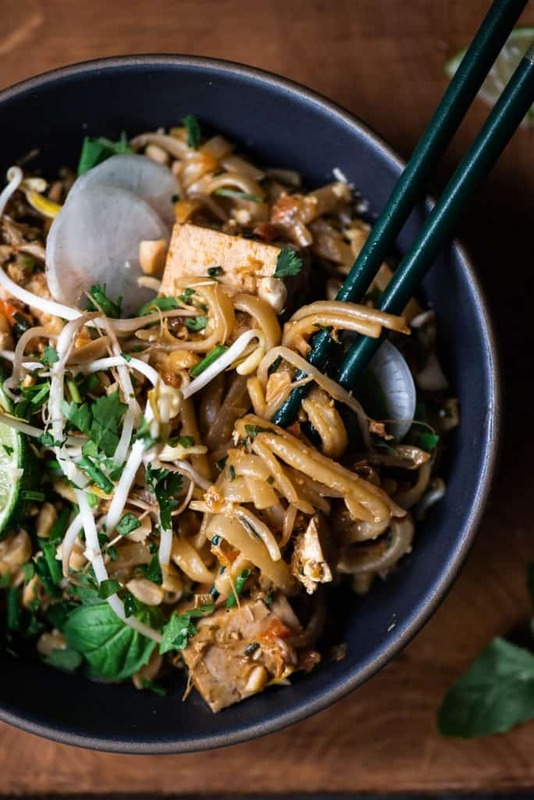 It’s surprisingly quick and easy, and it’s even better as leftovers the next day. Fun fact: over the years, our family has hosted a total of eight exchange students from around the world. Each of them lived with our family for a full school year (about 10 months). Needless to say, they all became a part of our family, and we’re so glad we’ve kept in touch over the years. (3 of them even made it to my wedding this summer! For the delicious cocktails we enjoyed together at that celebration, see here. I have “sisters” in Finland (2), Switzerland, Spain, Germany, Chile, Latvia, and yep, you guessed it – Thailand! Nicky, our second exchange student, stayed with us from 2002-2003 (17 years ago!!). Although she didn’t particularly enjoy cooking all that much, she did introduce us to the diverse and rich flavors of her home country. 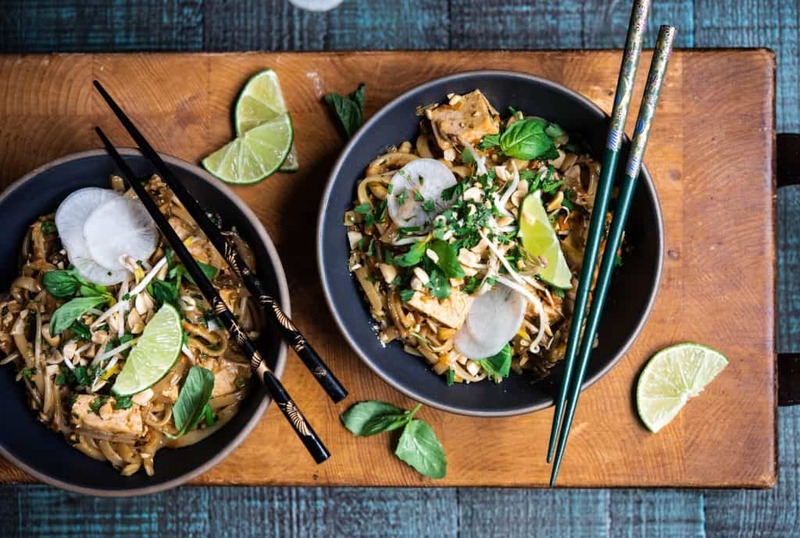 We’ve been making some version of this Pad Thai ever since she lived with us. 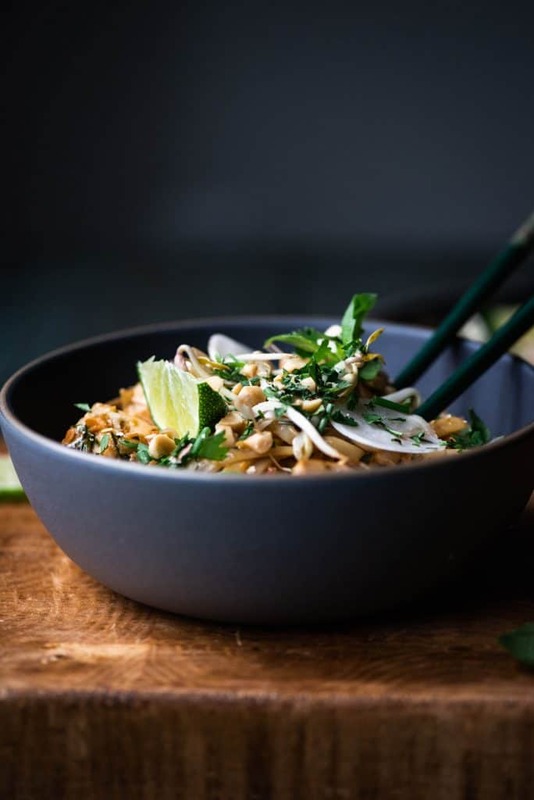 Our vegan version strays a bit from Nicky’s more traditional recipe. 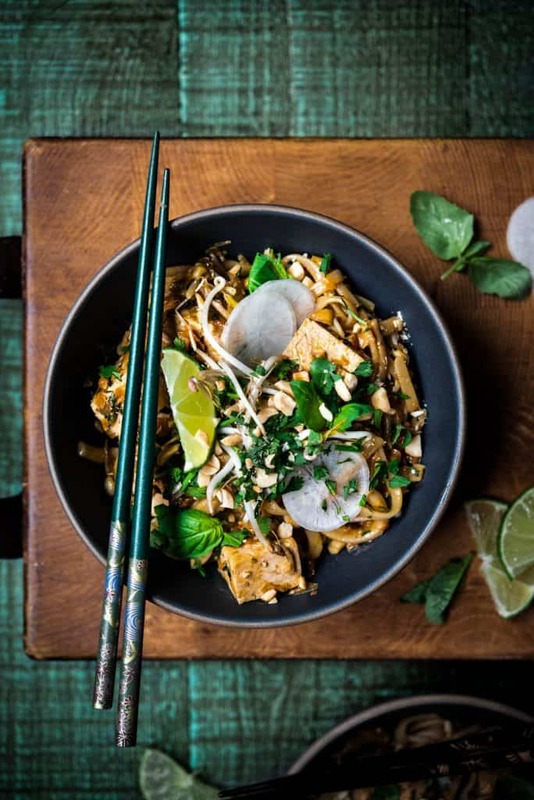 Classic Pad Thai recipes call for quite a few animal products. To please everyone at our table, vegan and otherwise, we usually divide the batch in half and add scrambled eggs and shredded chicken or shrimp to one half (for the guys). This version is for us, and we wouldn’t change anything! We hope you give it a try this winter!